As people begin to leave, and of the 30-some long-term and temporary staff who began this summer dwindles down to two nurses, we’ve been given the sole task this week to process this summer in hopes that we’ll be prepared for when we leave. And it is with full honesty that I admit that I have miserably failed that task. This past week has been one emotional blow after the other. As soon as I think that I’ve grasped what it means to leave a place that I am not confident in the slightest that I will return to, another facet presents itself. What did I actually learn? How did my perspective change? What will I miss? What will I leave here? And it isn’t just about leaving, it’s about going back. What will differ when I return? How can I be intentional about making changes to the blatantly materialistic life I’ve been leading? How can I function without talking about Chambrun and my students all the time? It’s been these impossible questions that I’ve acknowledged only to then toss away in exchange for sunny days sitting on the ground in the village with one to five children in my lap and movie nights with my fellow interns. Today is, of course, the last day that I can say “Don’t worry. I’m not leaving yet. I’ll see you later” as in fact, the moment after “later” has finally arrived. In one night, it seems that my task has snuck up on me. So here’s me trying my best to put into words the impossible emotions within. Each day there has been something that hits me in the part of my heart that I previously thought was just an empty void but actually has turned out to be reserved for this special place. I choke up after the slightest of things. Hearing the dozens of shouts of “Maggie Tout Sauce!” just walking to the village, because strangers know my name. Going to Brigade (Haitian Boys and Girls Scouts) and getting to tell my students and church kids that I have loved this summer, and that I’ll miss them, and just how much I love them, and hearing them sing for us. For holding hands with Peterson, a dear 9 year old that I have only met a handful of times, watching his face light up every time I made a funny expression, and then tearing up when he told me he’ll cry when I leave. There’s been so many people that I didn’t think I actually made relationships with who, in the typical, warm, loving, Haitian fashion, told me they’ll miss me and they love me, like all the young moms in the village. Just knowing that my little interactions made friendships brings me to tears now. Missing my students and getting to see them even for moments throughout this last week. Watching videos of their graduation and crying while beaming with pride. Riding in the back of the truck through Croix-de-Bouquets and Despinos, and seeing the markets and noise and smell and sunshine. Saying goodbye to the kids and adults alike in Chambrun today. I’ll miss it all, so terribly. But the fact is, I am leaving. Another aspect I’ve come to battle is my own selfishness. There’s something about leaving, anywhere in general, that was especially exaggerated by the temporary yet lengthened position this internship has brought about. It’s this crave to leave a legacy, some kind of lasting mark that says “I’ve helped. I was important. I did something”. It’s entirely selfish and entirely silly. I was a teacher. It means that I made this summer a little more joyful and silly and fun with my class. I loved on my students and loved my friends in the village but I am not Superman. It’s ridiculous to even think that I’ll be remember within the year (although my name really might, just because it’s so funny to them). Even if I come back, nothing would be as magical and numinous as this summer was. So that is what I am choosing to focus on as I leave. I refuse to drown myself in the overwhelming feelings of panic and loss but instead am taking away what I have gained. 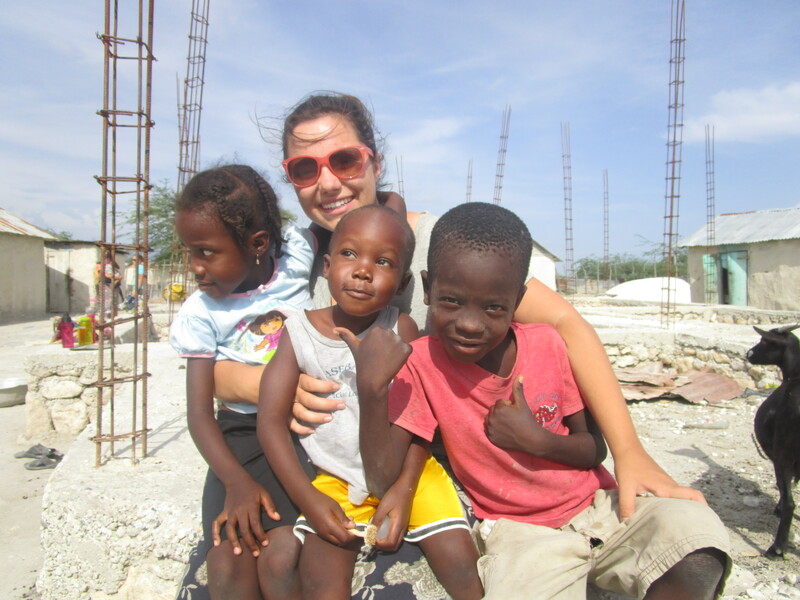 I now I have a part of my heart dedicated to Haiti and every one of my 105 students and Chambrun friends. I haven’t left it here, it will go with me wherever my next adventure takes me. I will take away the smiles and laughter, hugs and kisses, songs and tickles, sunshine, lightening storm, dust, friendships, memories. I have loved this summer. I have loved the challenges I’ve faced and the questions that have still to be answered. I love confronting aspects of myself and my culture I’ve been blind to. I have loved Chambrun and Nehemiah. I love my kids. When I first saw the chance to go to Haiti, back in March, I was wooed by the promise of another stamp on my passport, another opportunity to view a life other than my own. Thank God it was so, so, so much more than I could’ve ever dreamed. So I’m coming home. But I am also leaving it.